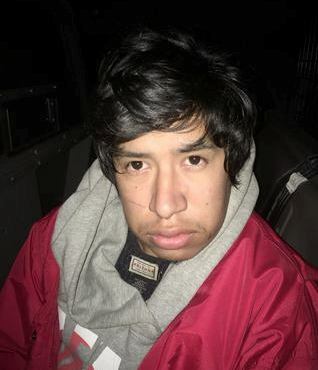 PHOTO COURTESY – Shenandoah Borough Police Department – Benito Reynoso, 22, of West Hazleton. Shenandoah Police were led on a pursuit into Mahanoy Township, after a vehicle was stolen on the borough’s west side Thursday night. Police responded to a stolen vehicle car at 8 East Centre Street in the borough around around 10:41pm. The victim stated they left the vehicle running and the keys in the car. Police located the vehicle on the unit block of East Coal Street and contacted the owner, who noticed items were missing in the vehicle. Around 11:37pm, Shenandoah Police were dispatched to the 200 Block of West Coal Street for a disturbance. Police arrived to find a green Subaru honking the horn, revving his engine, and blocking traffic. Officers attempted to make contact with the driver, when he proceeded to flee the scene. Officers caught up with the vehicle in a dirt lot in Mahanoy Township. At this time, the suspect, Benito Reynoso, 22, of West Hazleton, was taken into police custody. Upon searching the vehicle, officers located items which were stolen from the vehicle on East Centre Street. Shenandoah Police were notified that the Subaru was stolen from Hazleton, Luzerne County. Reynoso was arraigned by on call Magisterial District Judge Stephen J. Bayer, Tamaqua. Reynoso was charged with theft by unlawful taking, receiving stolen property, careless driving, reckless driving, fleeing and attempting to elude police, resisting arrest, driving while suspended, driving without a license, and numerous traffic violations. Reynoso was unable to post $50,000 straight cash bail and was committed to Schuylkill County Prison.